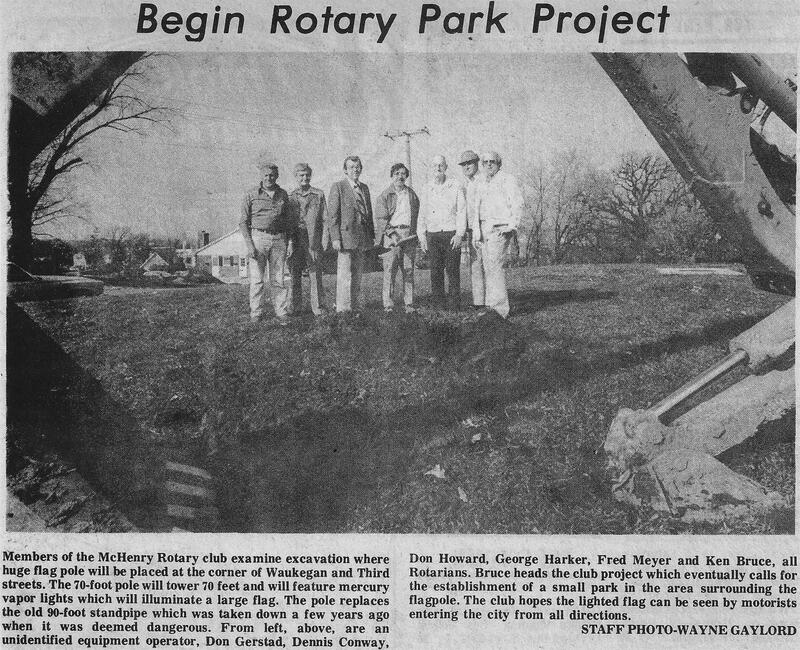 The McHenry Rotary Club made major improvements to the RotaryPark area with the donation of a gazebo, walkway and landscape plantings. The improvements to the park were designed and installed by members of the club as a community service project. The value of the completed project with improvements and donated materials plus labor exceeded $10,000. This small park is located at the corner of Waukegan Road and Third Street. This site was the location of the first city water tower built before 1900.